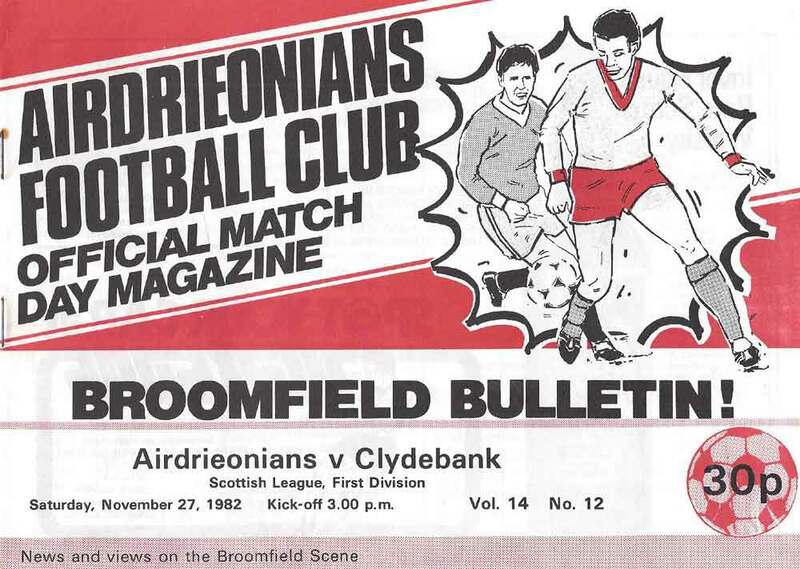 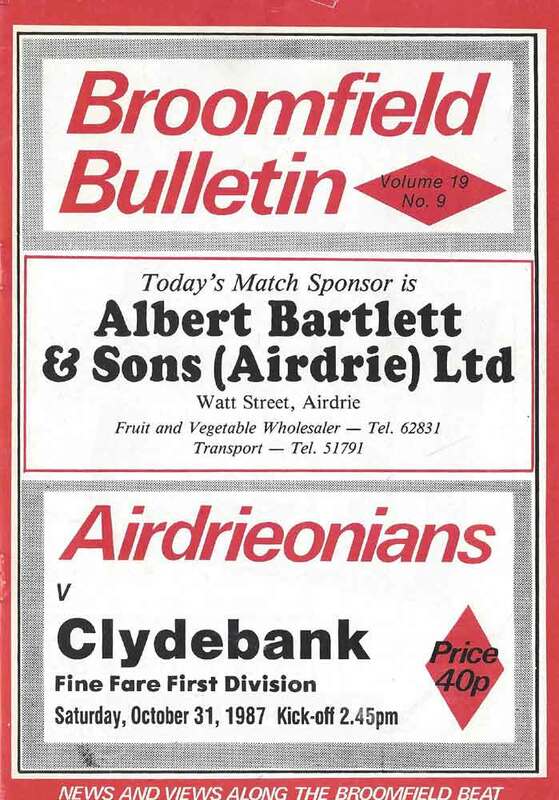 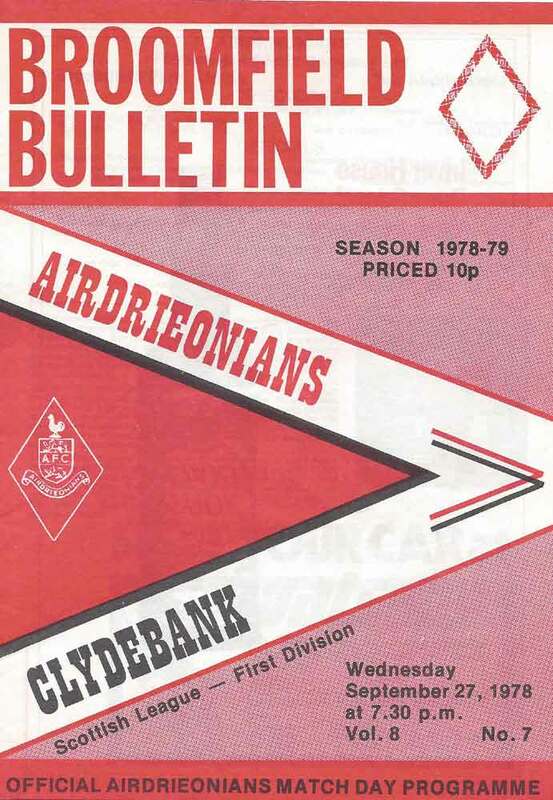 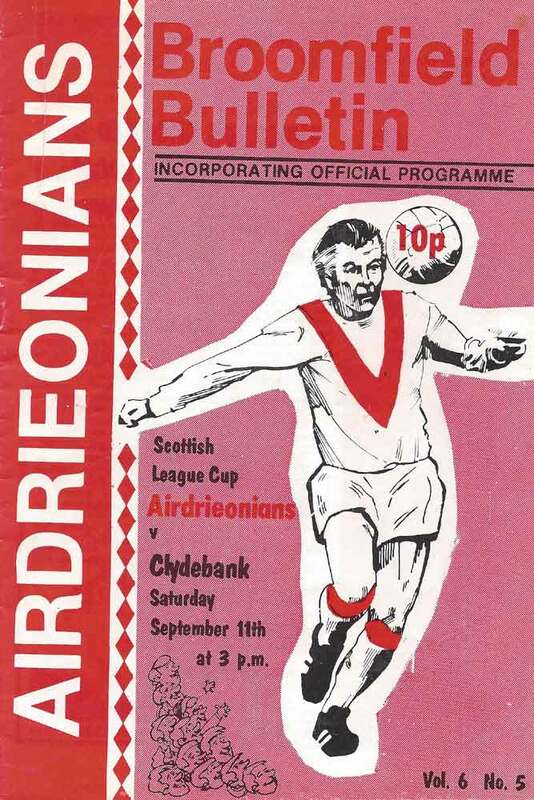 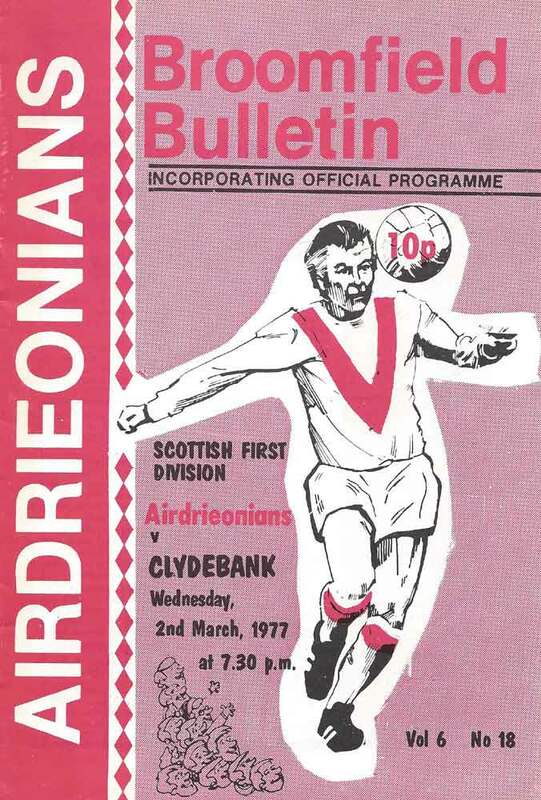 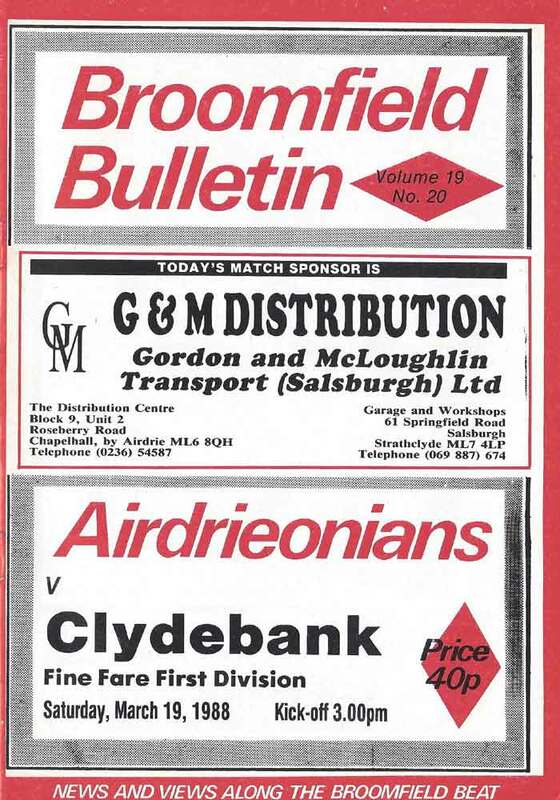 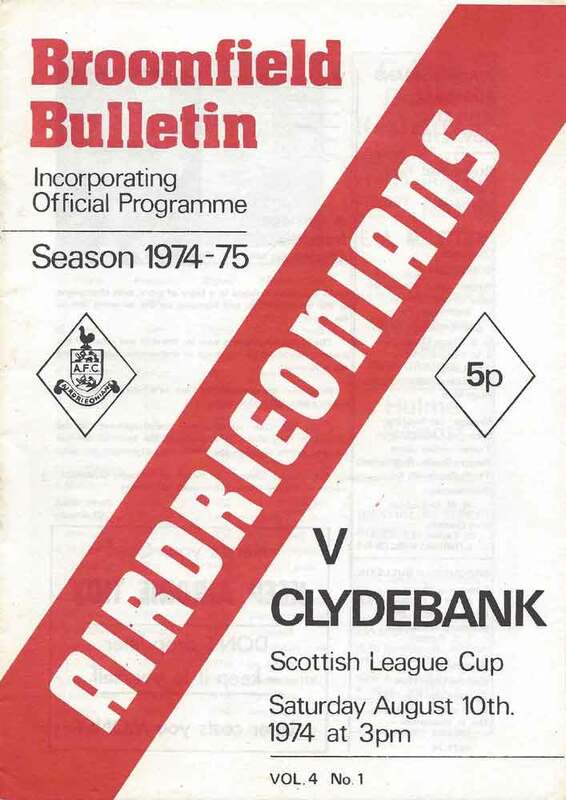 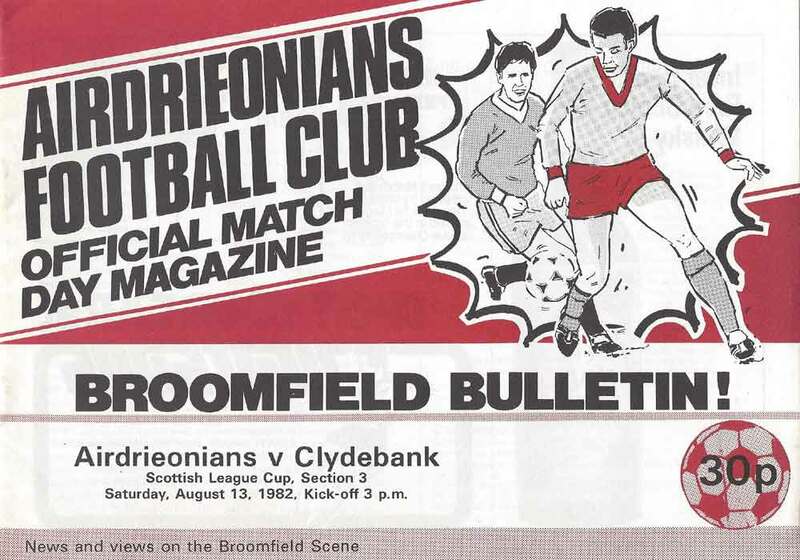 Clydebank and Airdrie were great rivals in the 1980s when both clubs were mainstays in the First Division for the majority of that decade. 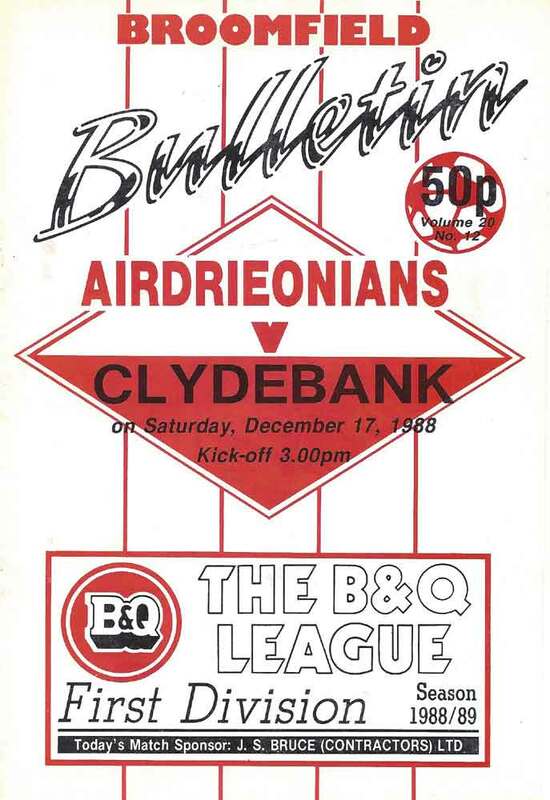 During that period the record between the clubs was fairly even, but where Airdrie's dominance in the head to head really emerged was in the mid to late 90s as the Bankies left Kilbowie Park and the club went into decline. 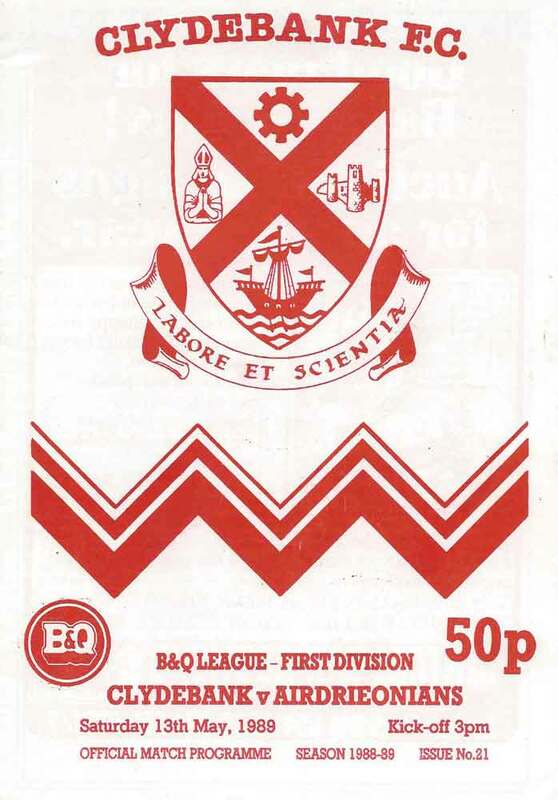 In fact, The Bankies failed to win any of the last 14 meetings between the sides. 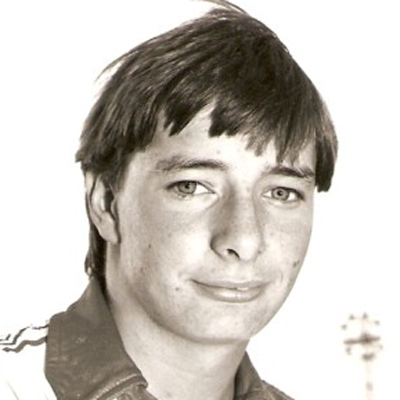 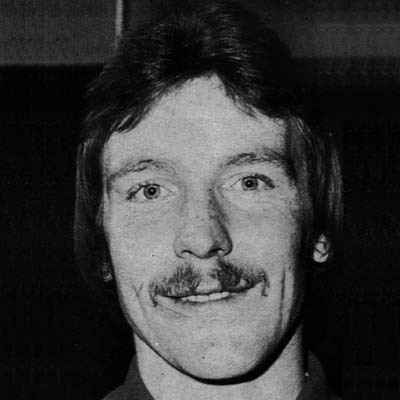 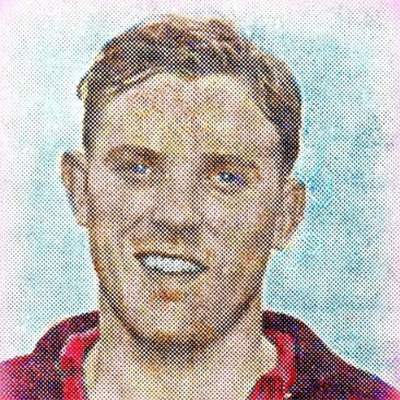 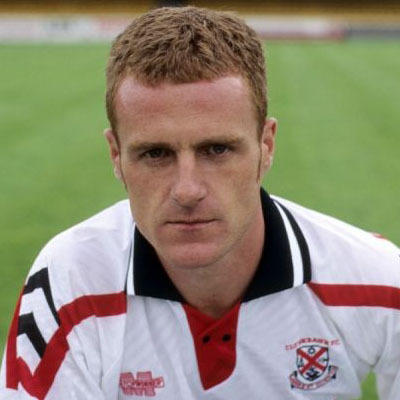 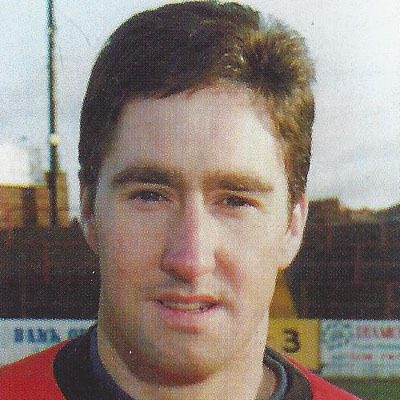 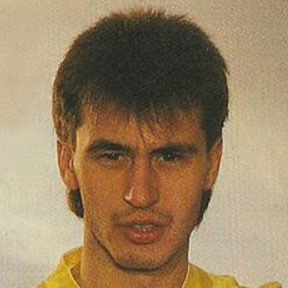 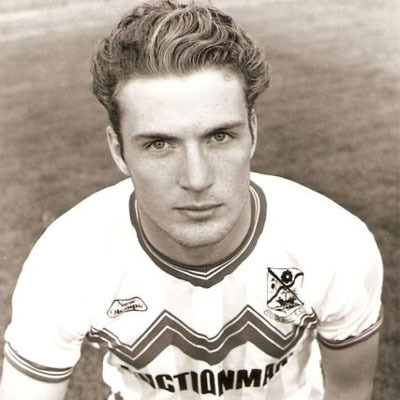 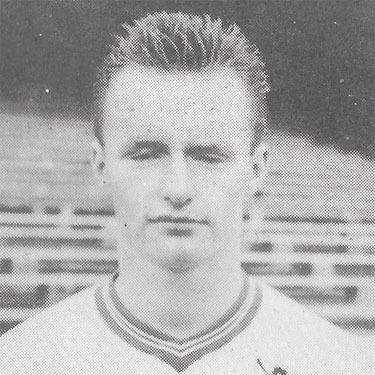 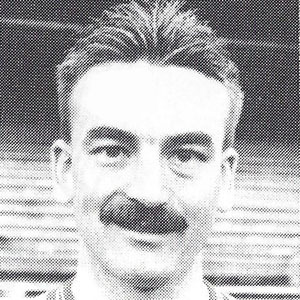 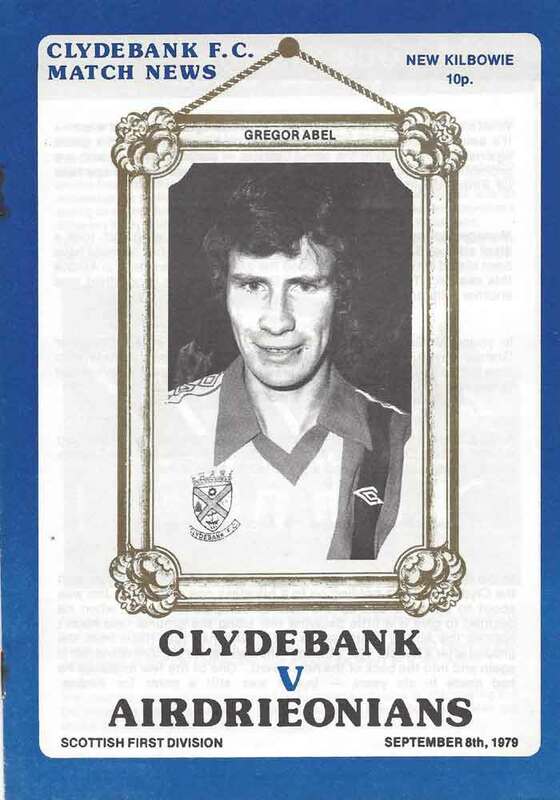 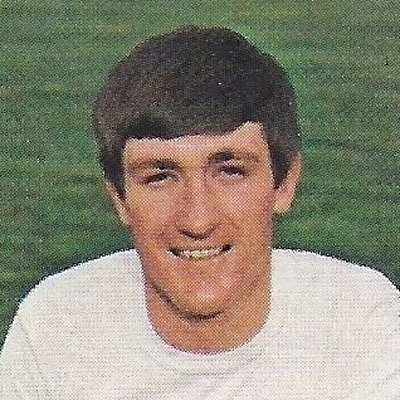 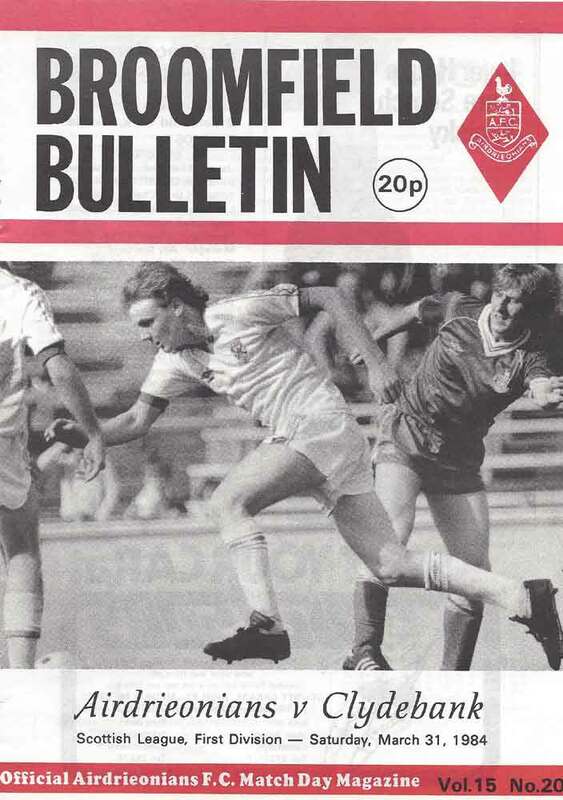 The Diamonds also had a habit of buying Clydebank's best players with Blair Millar, John Davies, Owen Coyle, Ken Eadie, Sean Sweeney, Paul Harvey and Stewart Auld all heading to Broomfield. 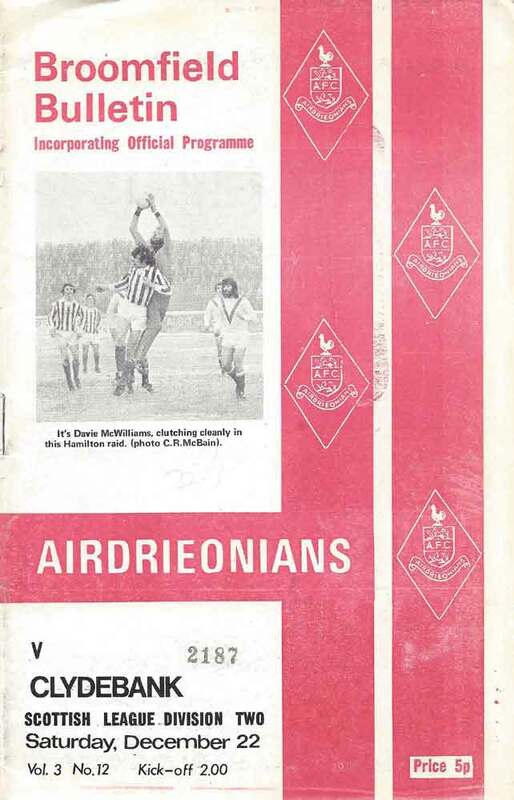 The most famous encounter between the sides was in the final of the ill-fated Spring Cup in 1975-76. 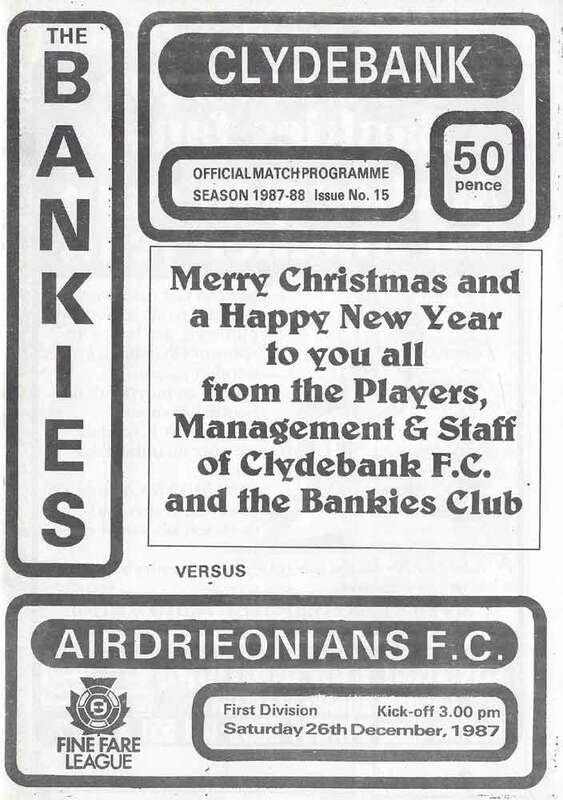 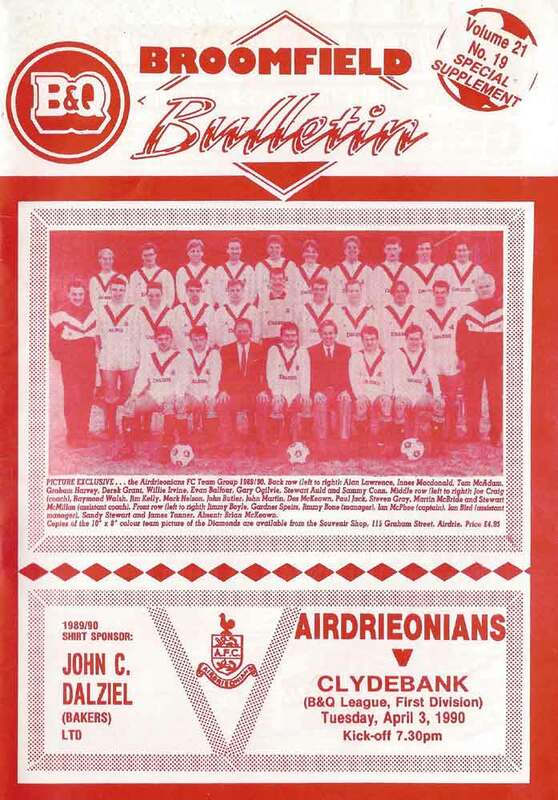 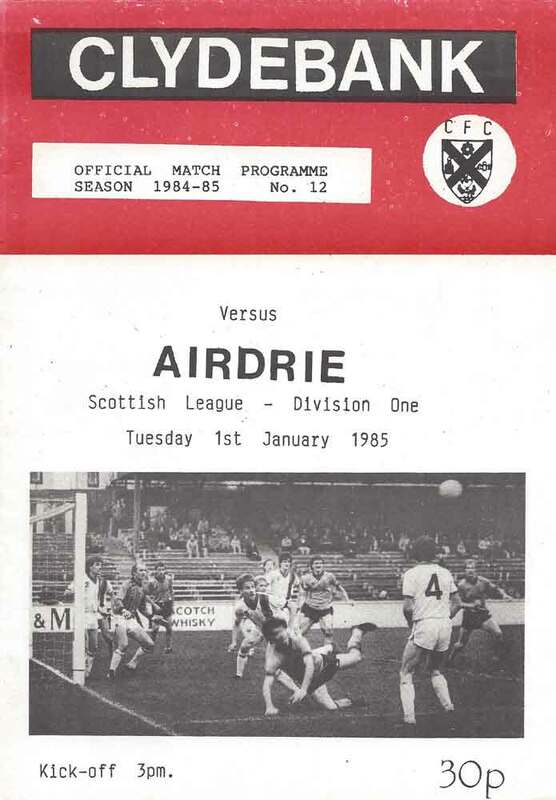 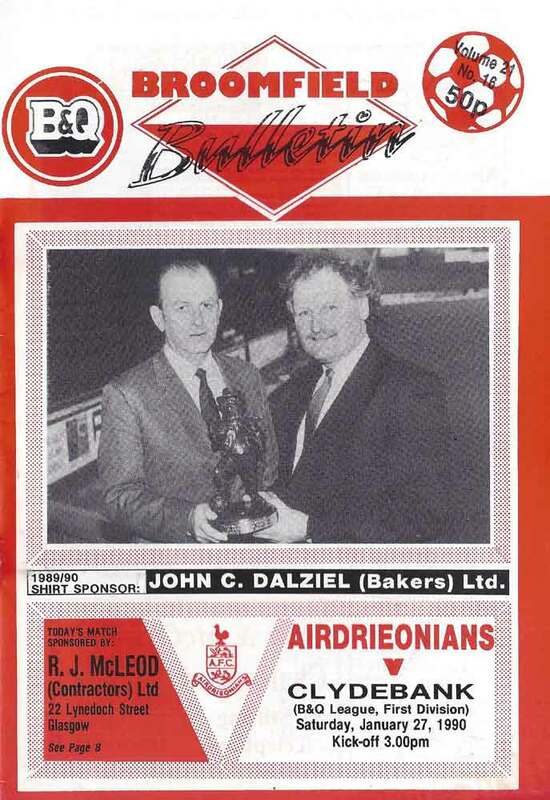 The Bankies were the up and coming side winning the Second Division with Airdrie in the league above. 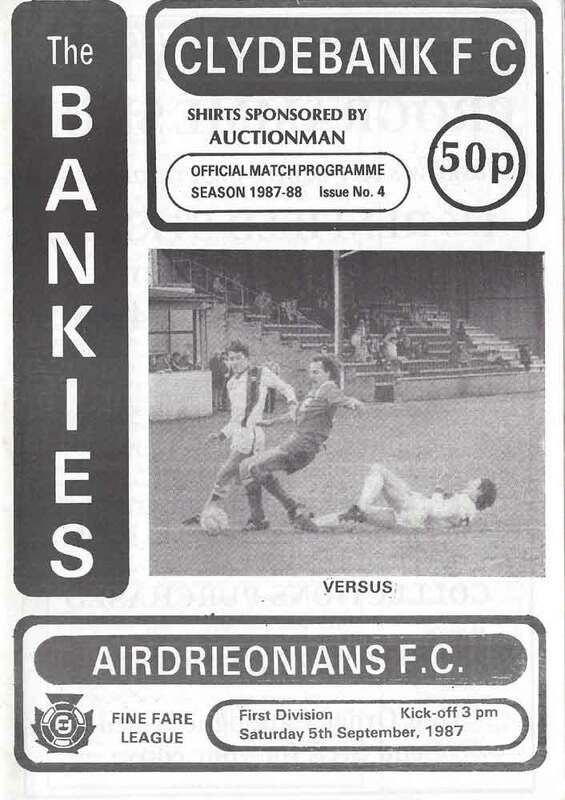 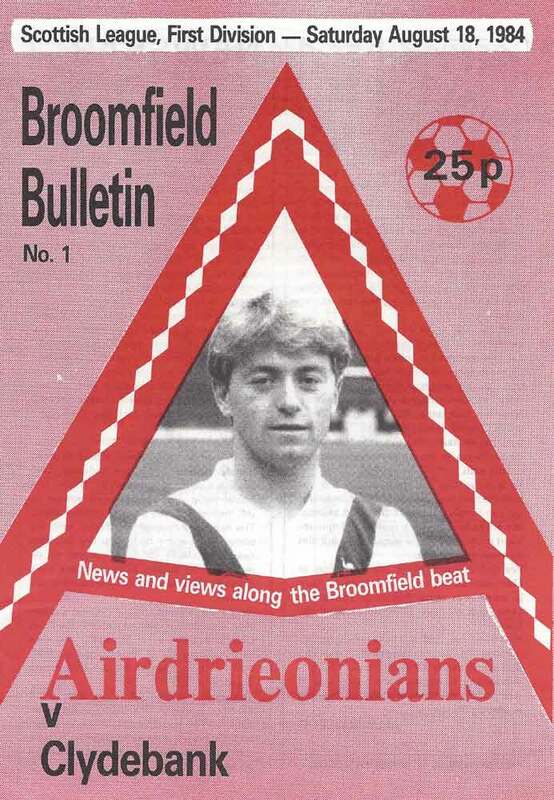 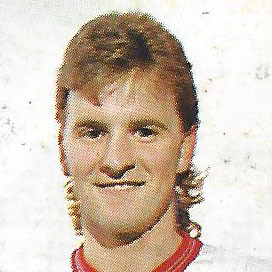 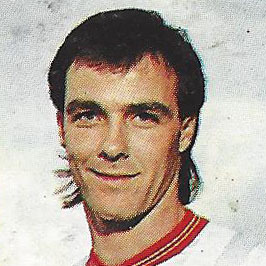 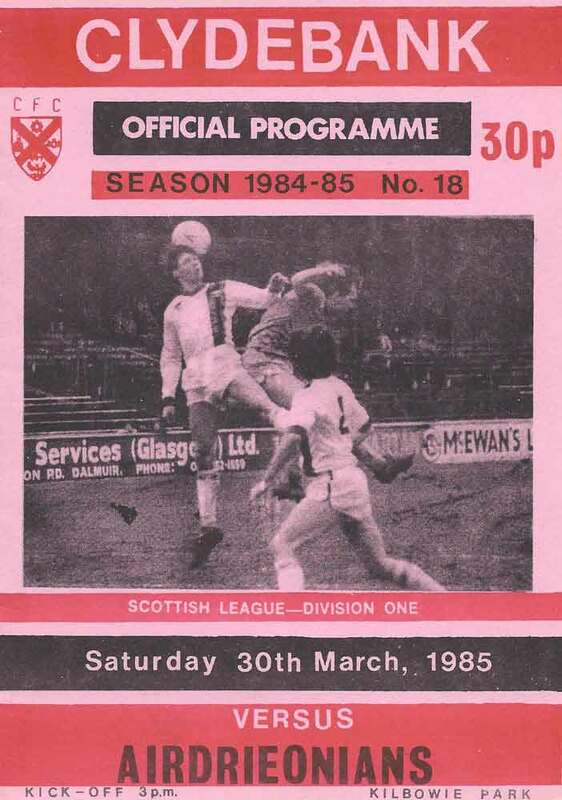 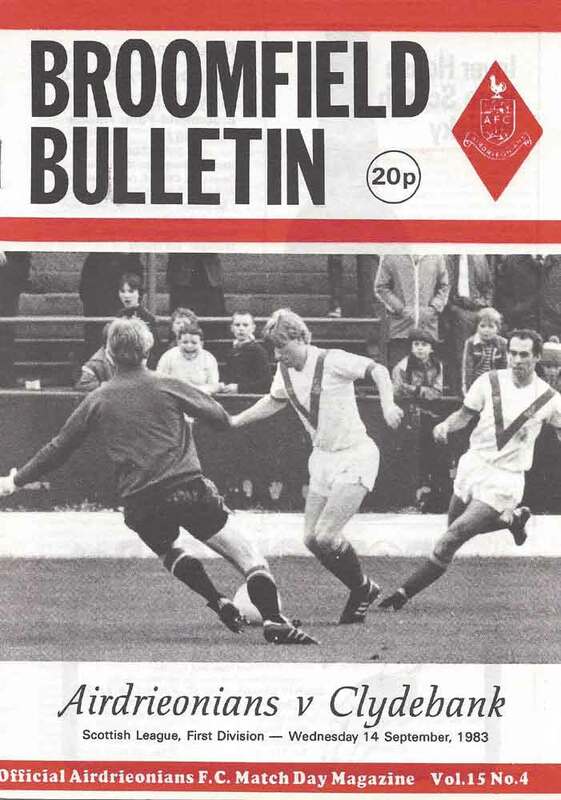 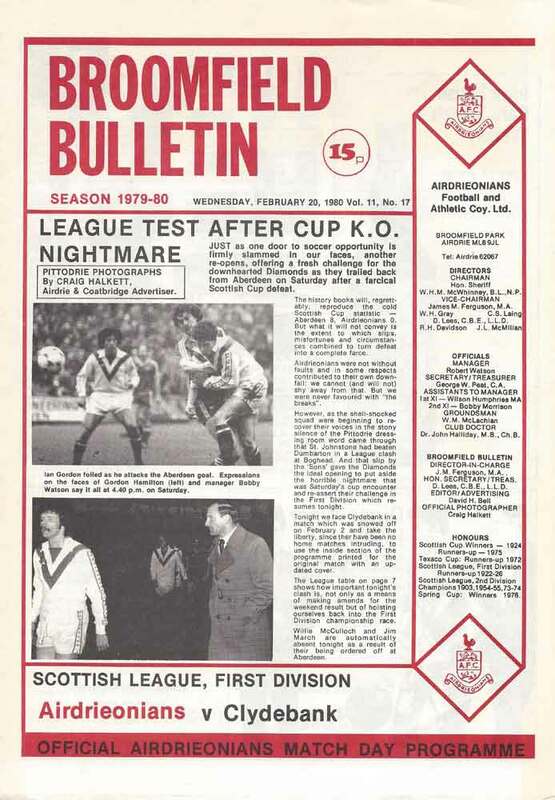 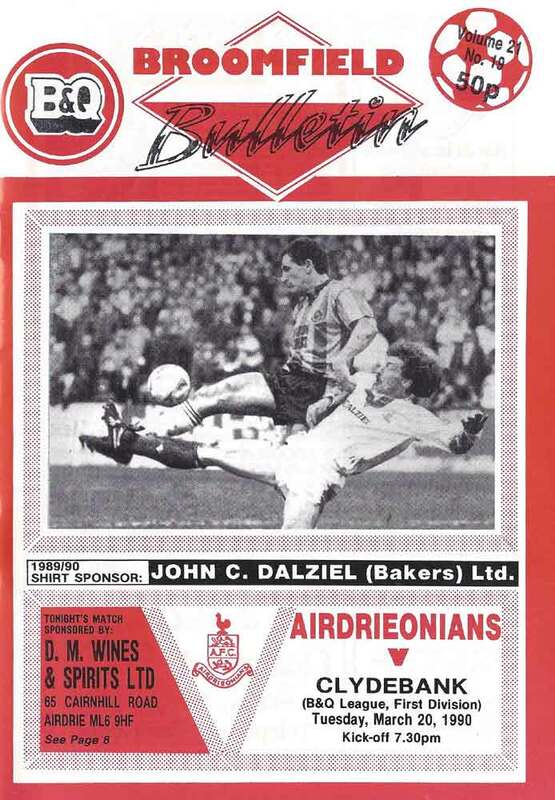 Airdrie ended up winning 4-2 in extra time with the Bankies tiring, but an uncharacteristic penalty miss by Davie Cooper when the Bankies led could have told a different story. 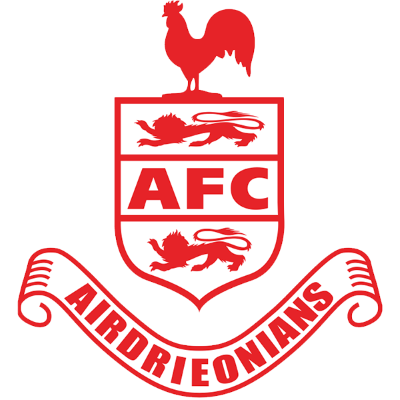 The relationship between the clubs was destroyed when Airdrie were liquidated in 2002. 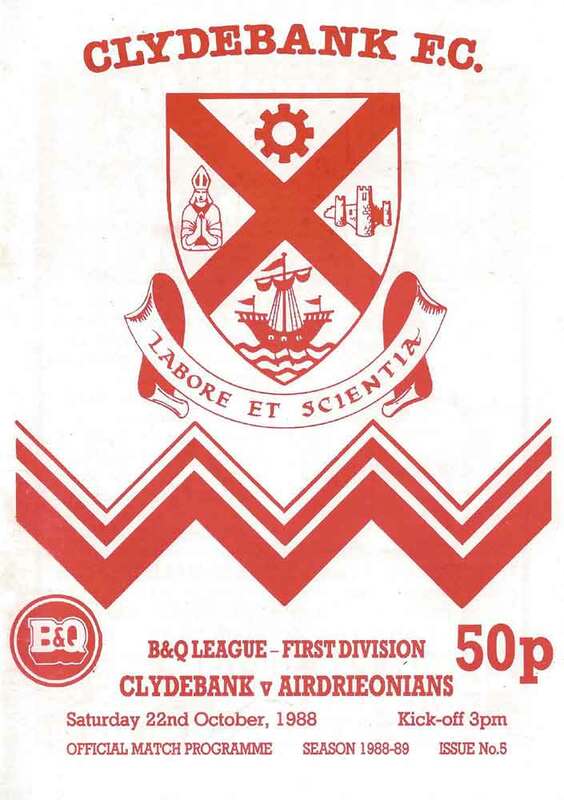 The Bankies were in administration themselves at the same time, and the owners of the newly formed Airdrie United, whose attempt to re-enter the Scottish League had been rebuked took advantage of Clydebank's situation by buying the club lock stock and barrel, and thus gaining league membership. 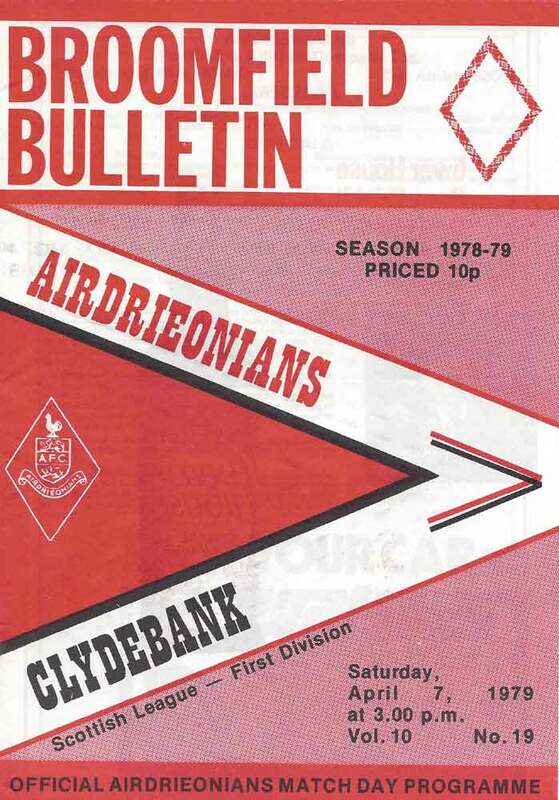 This was despite Clydebank's Supporters group having a strong enough bid to satisfy the administrators demands, only to have been outbid by Airdrie United. 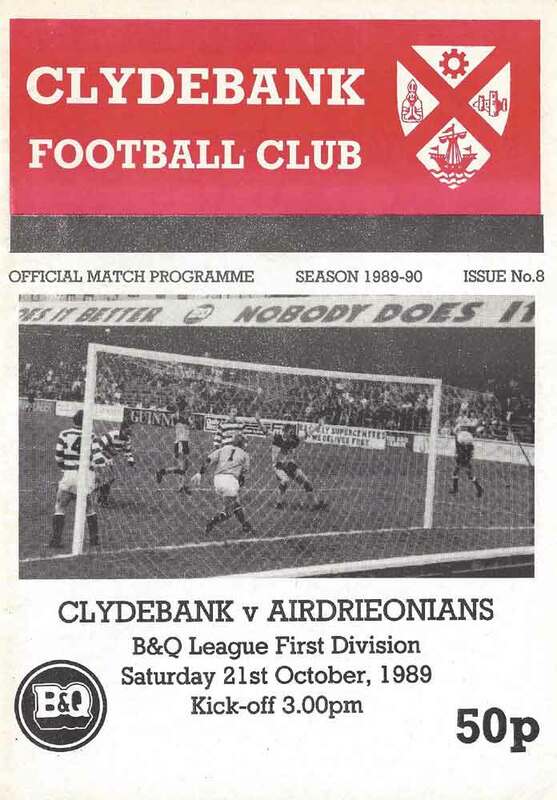 Clydebank fans were left without a club, and the resentment still lingers to this day.